The Ultraman empire is back in full force. 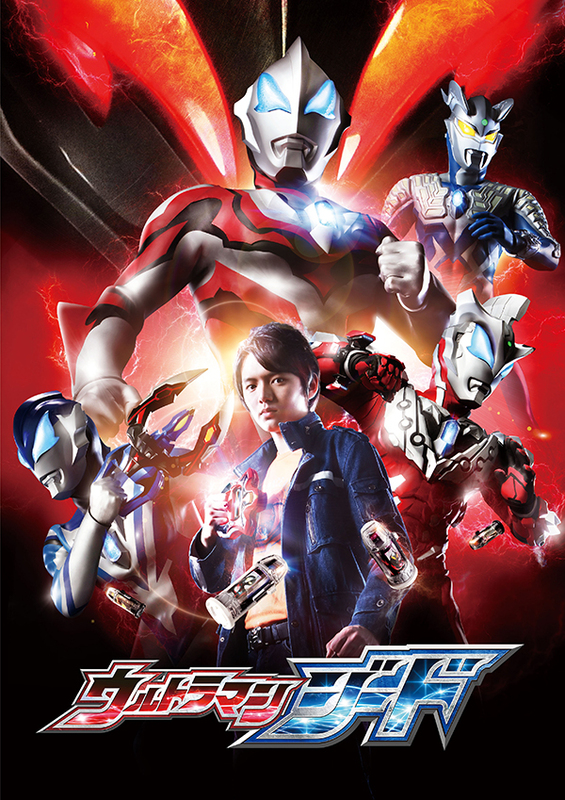 The latest addition to Tsuburaya Productions’s long-running and Ultra-popular line of Ultraman works is the TV series Ultraman Geed, which began airing on July 8, 2017. The protagonist, Riku Asakura, portrayed by actor Tatsuomi Hamada, is an upbeat young boy who had grown up watching hero action TV and like many young boys his age, been obsessed with the amazing heroes who courageously fought monsters and antagonists and saved many lives. One day a giant monster, Skull Gomora, attacked the hometown of Riku and his Alien Pegassa buddy, Pega. They manage to flee unharmed and find themselves in a secret base situated 500 meters below ground level. There the base’s operating system RE.M. declares the base belongs to Riku and entrusts him with the Geed Riser and Ultra Capsules, which he will use to transform into the powerful hero Ultraman Geed in order to fight for the townspeople. As he engages in battle with the monster, however, people are alarmed at his uncanny resemblance to Ultraman Belial, who instigated the horrible Crisis Impact to destroy the universe before he went missing. To his dismay, Riku learns that he is indeed Belial’s son, and discouraged, vows never to Fusion Rise again—but soon joined by monster hunter Laiha Toba, childhood friend and AIB agent Moa Aizaki, and business man Leito Igaguri, whose body hosts the spirit of Ultraman Zero, Belial’s nemesis, Riku decides to take destiny into his own hands and use his newly aroused superpowers to fight for the good. He soon discovers that the monsters that emerge are Fusion Rise forms of a mysterious Sci-Fi novelist by the name of Kei Fukuide, who is supposedly in search of “Little Stars.” What is the secret behind Riku’s birth? What does destiny have in store for Riku and his friends—and what is Belial’s master plan? In this all-new series, Ultraman Geed has the ability to materialize in three different forms. a cross between Ultraman and Ultraman Belial and the well-rounded base form whose finishing attack is the Wrecking Burst. who develops a mighty protective armor and excels in close-contact battles. who is quick and acrobatic and maneuvers various light rays for magnificent battles. For each transformation, Riku inserts the Ultra Capsules into the Ultra-capsule-holder before using his Geed Riser to scan and then pull the trigger on the device to morph into Geed. Don’t miss Riku’s exciting adventures! Produced by Tsuburaya Productions Co. Ltd.; TV Tokyo Corporation; Dentsu Inc.